There are certain syrahs—and the wineries who make them—that should be on every syrah-inspired Sonoma wine tour. 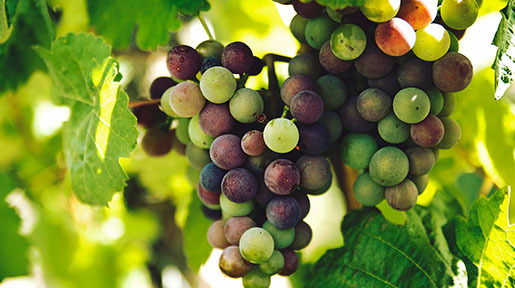 To get a list of the top of the top, we surveyed over 100 Sonoma wine producers for their favorite syrahs in Sonoma. 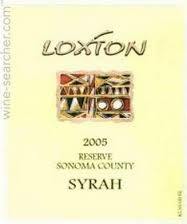 Loxton - Que syrah, syrah! Loxton is the epitome of a dream vineyard for syrah fans. With award-winning syrah production runs year after year, the small-quantity approach they take to winemaking must be working well. For true syrah fans, you don’t want to leave Sonoma without trying their Griffin’s Lair series. 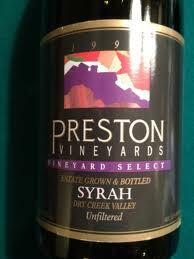 Preston - Preston Vineyards’ artisanal cheese and fresh-pressed olive oils make the perfect pairing for their Syrahs. 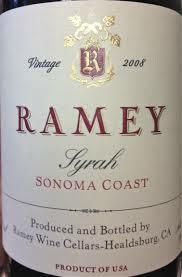 A heavy favorite amongst area vintners, this fairly well kept secret comes in syrah-sirah and petite sirah blends. 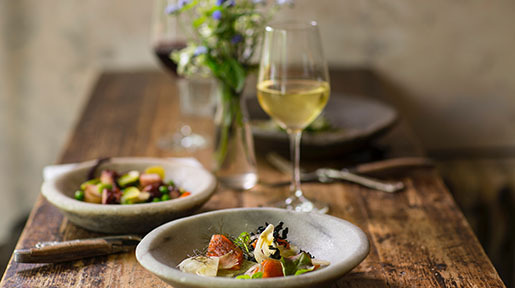 Preston’s is the ultimate destination for syrah fans who also happen to be major foodies. Pride Mountain Vineyards - With several syrahs with point ratings above 90, Pride Mountain Vineyards are another great destination for Sonoma-going syrah fans. In addition to exceptional wines (they also make a mean merlot and a character-filled chardonnay) they have a gorgeous tasting room that completes the whole experience. 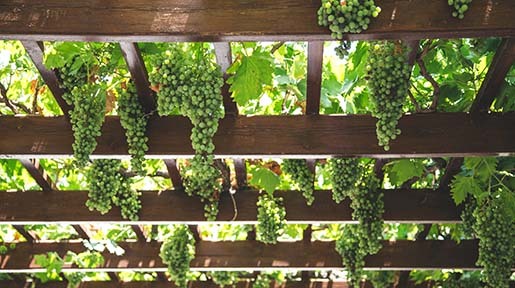 Ramey - Ramey winery is the top choice for red-white couples looking to find a winery they agree on. 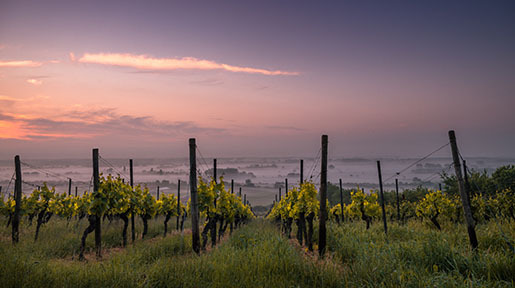 With syrah as their primary red varietal this vineyard has become known for their critically acclaimed syrah—however they also have award-winning chardonnay that will knock the socks off any white wine aficionado. 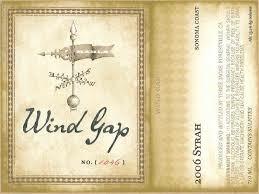 Wind Gap - While Wind Gap is a beautiful winery with several winning selections—their real piece de resistance is their syrah. When we surveyed local vintners, Wind Gap was mentioned regularly as a knock-it-out-of-the-park winner. This medium-body syrah represents the fleshy terraces it was grown on, and is framed perfectly by ‘dark and brooding summer fruits’ profile. When veteran winemaker Steve MacRostie went looking for a new vineyard to plant his chardonnay, pinot noir and syrah he discovered Wildcat Mountain in the Carneros/Sonoma region. "I felt Wildcat would push the envelope, something untried. The cooler climates, the stressful site, the thinner soils; this is not a safe place to set up a farming operation. In a business sense it was probably rather stupid," he said plainly.